This is a rectangular flange Masury Paint Store porcelain sign. This particular Masury Paint Store sign is black and white with red text. 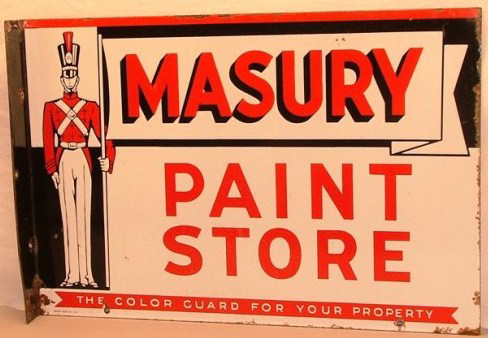 It reads, “Masury Paint Store, The Color Guard For Your Property” and features a soldier standing guard on the left side of the sign.